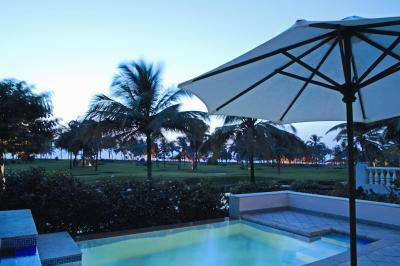 Lock in a great price for The Leela Goa – rated 9.2 by recent guests! 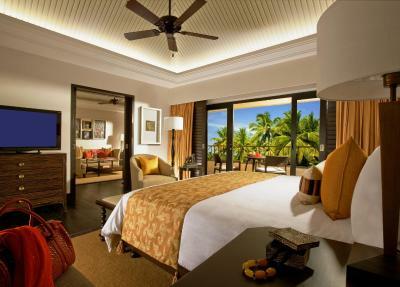 Amazing stay at this huge luxurious beachside resort. We enjoyed all the facilities and you really can spend a couple of days here without having to leave the property. There’s plenty to explore around the hotel grounds. The staff were extremely hospitable and helpful - it really added to our experience! The location is great, a little far from the airport but you will enjoy the road with the hotel complimentary airport shuttle. The beach is wide,clean,quit and very beautiful. Staff are amazing and very friendly. 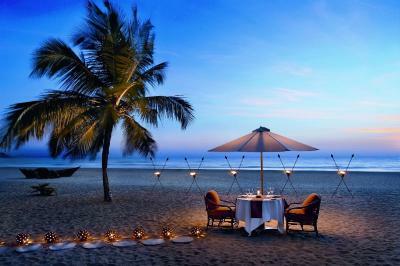 Breakfast,lunch and dinner all are amazing and delicious> It's one of the best beach hotel in all India. 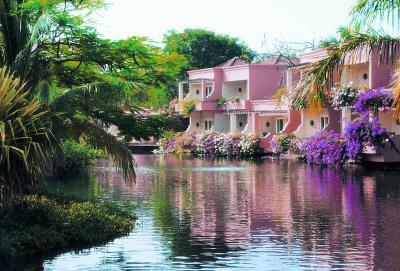 Our stay at Leela Goa was truely faboulous. It’s the attention to small details that makes Leela such a unique place; like the nice gesture of a complimentary drink and cake for celebrating our anniversary ; the Bhuda quotes they are placing in our bed daily; cleaning the room twice daily then reviewing the cleaniness ( though that may be disturbing at times but it just shows how much they care for their guests)..and the two ways airport transport .. Staff are very nice and everyone is smiling at you even when you can see that they are tired. We definitely are coming back to Leela. Lovely beach. Nice selection of foods. Breakfast buffet - very good. Rooms are nice. The hotel grounds are beautiful and the beach is pristine. I have been on beaches all over the world and never have i seen so little trash/plastic. the sand is soft and the water is clear and warm! the main restaurant buffet is amazing, we didn't eat a la carte at all because the buffet was so good at all times with a huge selection and desserts. The pool is awesome with a secret cove beneath the waterfall and if there's no room by the pool, there's plenty on the beach. We also had a massage at the spa, the Indian Magic massage was great and the perfect send-off before a 20 hour flight back home. The breakfast at the Leela was varied and excellent - so many options! Even with a lot of guests, the breakfast area was never packed (although outdoor seating did tend to fill up quick). The beach was warm and pretty calm most days we were there. Lots of lounge chairs were available that we didn't need to rush early in the morning to secure chairs. The pool was nice and big and rarely full of people. 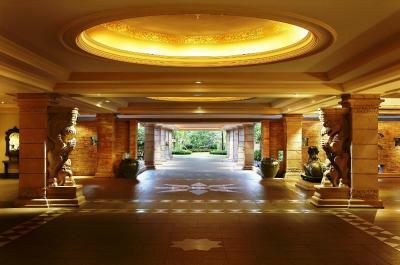 The staff at Leela were outstanding and always wore a smile on their face. From check-in to check-out, our stay was amazing. We were taken care of the entire stay and even received a nice anniversary surprise one day (a bottle of champagne and dessert!). It was those thoughtful touches that made our stay amazing. 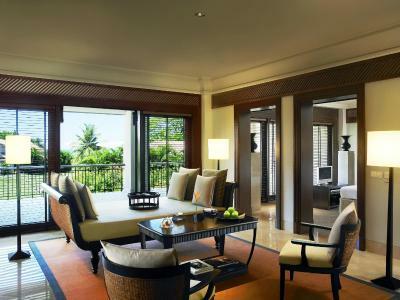 The Leela Goa This rating is a reflection of how the property compares to the industry standard when it comes to price, facilities and services available. It's based on a self-evaluation by the property. Use this rating to help choose your stay! 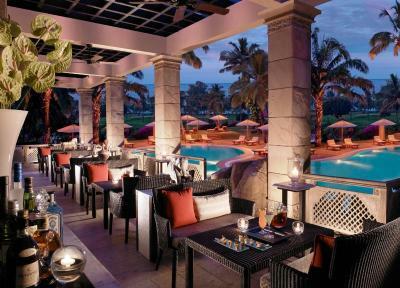 One of our top picks in Cavelossim.Surrounded by gardens and blue lagoons, The Leela Goa Beach Resort offers luxurious rooms with a DVD player. 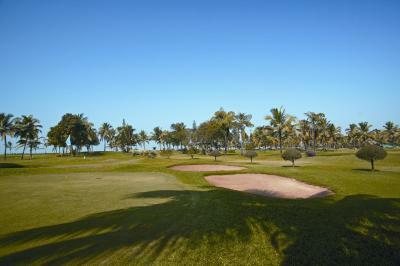 Facilities include a 12-hole golf course and an outdoor pool. Free Wifi is available. 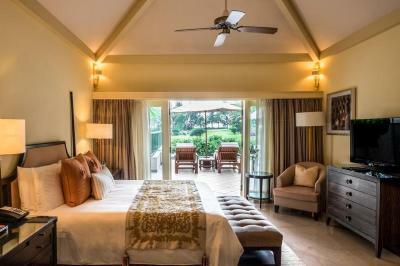 Rooms are elegantly furnished and feature a balcony overlooking the lagoon. They are equipped with a satellite TV, CD player and mini-bar. Private bathrooms come with a bathtub and hairdryer. 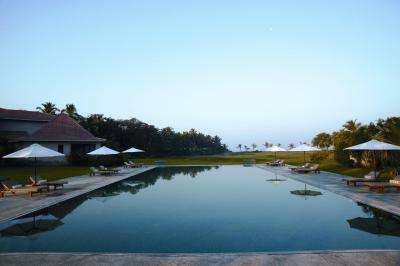 The resort is located 25 mi away from Goa Dabolim Airport. Panjim, the capital city, is around 37 mi from the hotel. 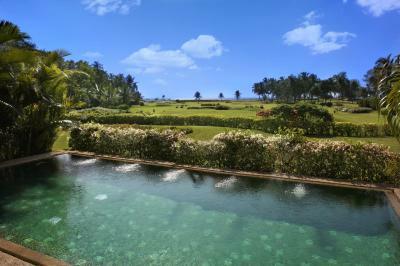 This property also has one of the top-rated locations in Cavelossim! Guests are happier about it compared to other properties in the area. 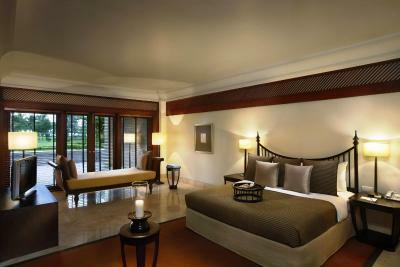 When would you like to stay at The Leela Goa? 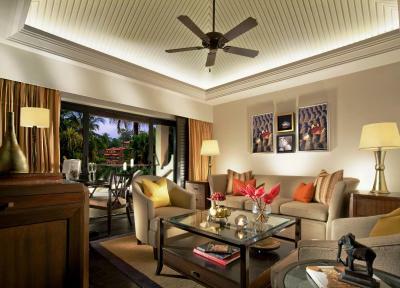 Elegantly furnished, this spacious, air-conditioned room features a garden entrance and a private balcony overlooking the lagoon. It has a flat-screen cable TV and a bathroom with bathrobes and a separate bath and shower. Please note that this room can accommodate only 2 adults. 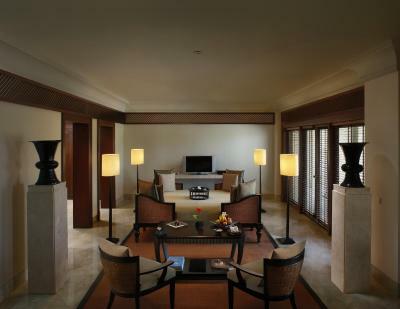 This more spacious, air-conditioned room features a lounge room overlooking the lagoon. It has a flat-screen cable TV and a bathroom with free toiletries. 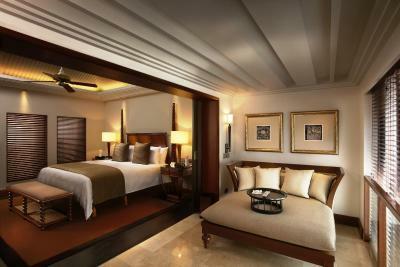 Please note that this room type cannot accommodate any extra bed. 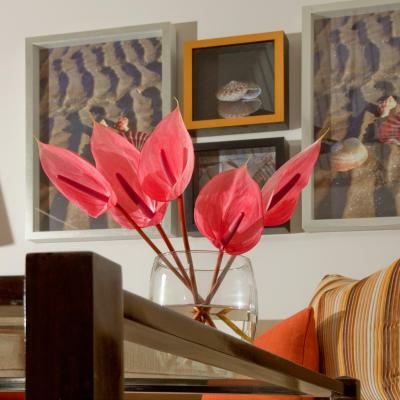 Room can accommodate up to 2 children below 12 years of age at applicable charges. Inclusion :-Scheduled complimentary airport transfers in an AC coach. 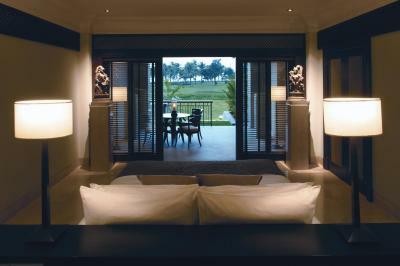 This extra spacious, air-conditioned suite has a garden entrance and 2 private terraces overlooking the lagoon. 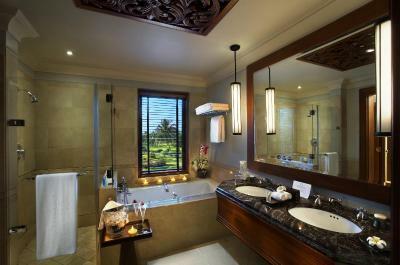 It has a flat-screen cable TV and a marble bathroom featuring a twin-head massage shower and a sink-in bathtub. Features private balconies overlooking the golf course. 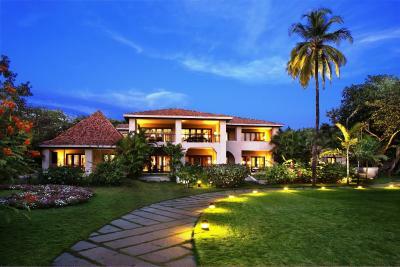 It is fitted with upgraded amenities. Certain suites have partial garden view. 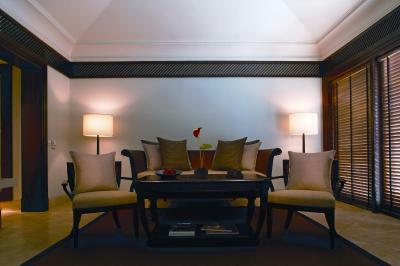 Includes the services of a personal butler and access to the Royal Club. 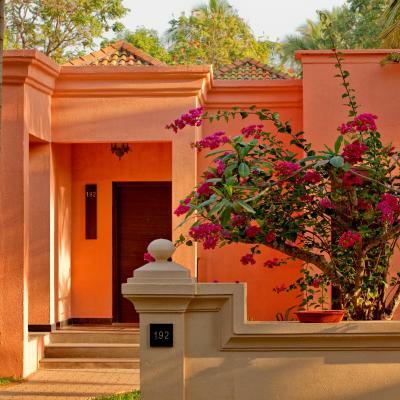 Includes free two-way airport transfer, complimentary Wi-Fi access and 8 pieces of laundry per day. Please note that this room cannot accommodate an extra person. 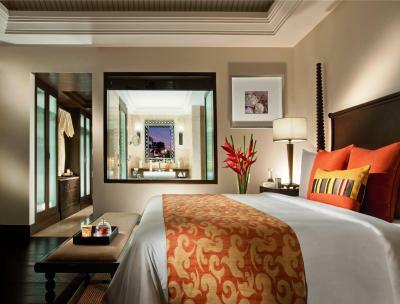 This suite has a balcony, tile/marble floor, and mini-bar. 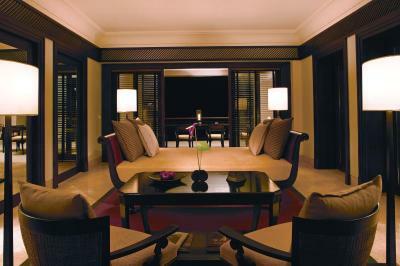 The suite has an extended living room, bedroom and has a private plunge pool. 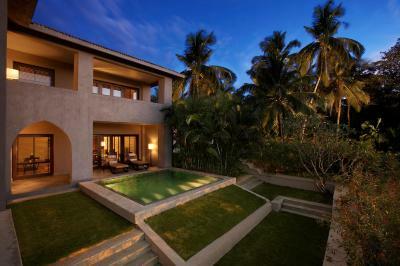 This villa features a balcony, DVD player and seating area. 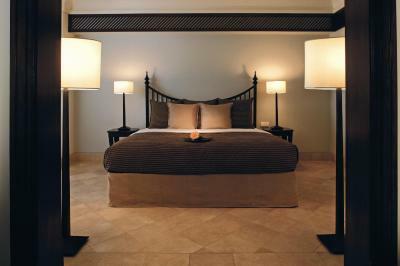 The villa has a master bedroom, a guest bedroom, living and dining room. The attached bathroom has a private Jacuzzi. 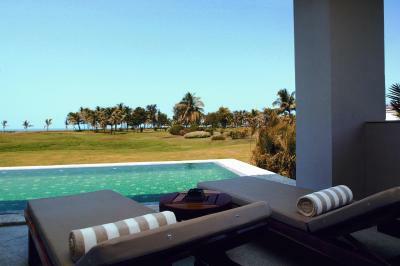 There is a plunge pool and terrace looking out towards the golf course and ocean. 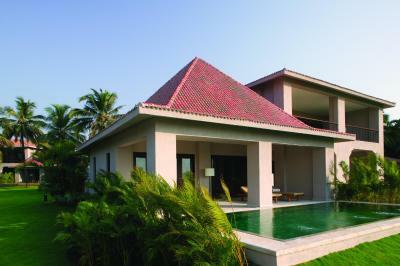 House Rules The Leela Goa takes special requests – add in the next step! All children under 12 years are charged INR 4625 per night for extra beds. 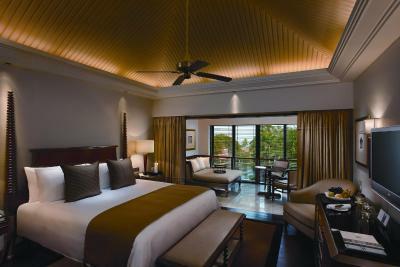 Any additional older children or adults are charged INR 7700 per night for extra beds. 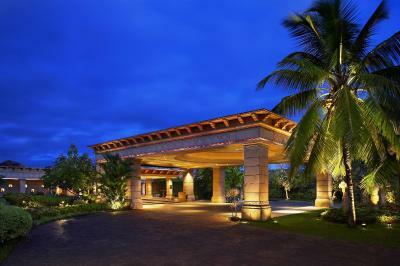 The Leela Goa accepts these cards and reserves the right to temporarily hold an amount prior to arrival. Please note that all half board (breakfast and dinner) and full board (breakfast, lunch and dinner) meals will be served as buffet only. Please note a Lagoon terrace/ Club Suite can accommodate maximum of 2 adults and a child below the age of 6 years only without an extra bed. Child above the age of 6 years to 12 years will be accommodated in Conservatory Premiere, Lagoon Suite, Club Pool Suite and Royal Villa only. Child above the age of 12 years or an extra adult will be accommodated in Lagoon Suite, Club Pool Suite and Royal Villa only. Please note extra adult charge and child charges are not included in the room rate, it will be charged over and above the room rate as per the meal plan in the hotel at the time of check-in. Breakfast and dinner: Please note the extra bed charges for different meal plans : Child charge : INR 4250 + taxes on breakfast and dinner. 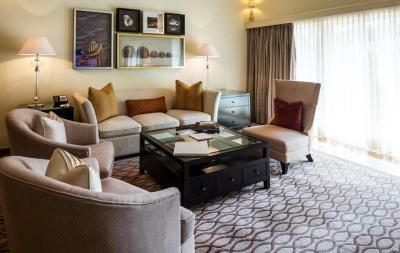 Extra adult : INR 6500 + taxes on breakfast and dinner. 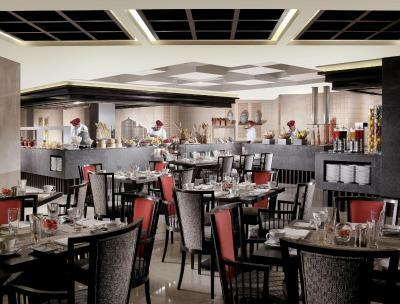 All meals: Breakfast, lunch & dinner Child Charge : INR 4625 + taxes on breakfast, lunch and dinner. 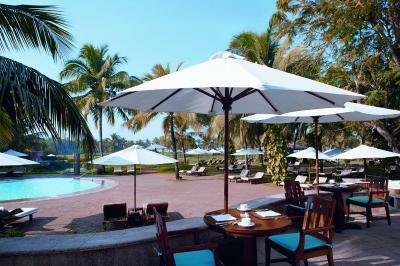 Extra adult : INR 7250 + taxes on breakfast, lunch and dinner. 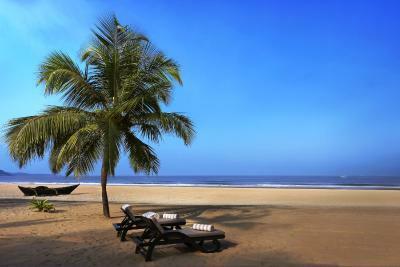 Please note that all flight details needs to be forwarded to The Leela Goa before 24 hours prior to arrival date to arrange transfers. No transfers will be arranged if any flight details are not sent within 24 hours to arrival date. All Meals Plan (Breakfast, lunch AND dinner) 01/05 – 31/03/19 (excluding 21/12 – 10/01/18 ): INR 4625 + taxes per night per child. 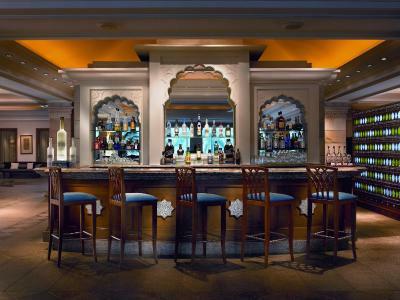 Please note that the property will be embarking on a refurbishment program for the banqueting facilities, Aqua (lounge bar) and The Club section from 01st July until 15th October 2019. The property will be undergoing renovations from Mon, Jul 01, 2019 until Tue, Oct 15, 2019. During this period, guests may experience some noise or light disturbances, and some hotel facilities and services may not be available. The breakfast buffet was varied and delicious. The ambience, the layout and the overall impact. Service was the best I have ever had in my life. From top to the last guy in the hotel. Breakfast is great with lots of choices. High Tea incredible. Dinner amazing. Ambience was best and lots of activities. The best service of any hotel I have stayed in. Exceptionally friendly staff. The check out when we asked to move the shuttle by 30 mins wasn’t an easy request ... could’ve been handled better. 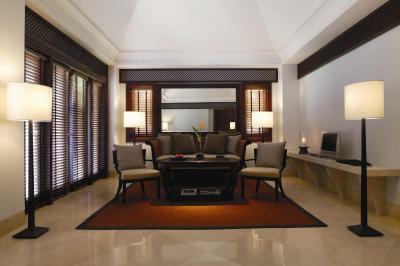 The service of the staff especially housekeeping and at the Bar and in the kids activity area. Lots of plants around all the villas and the private beach. Lovely beach. Great staff!!! Rooms were very basic and small. 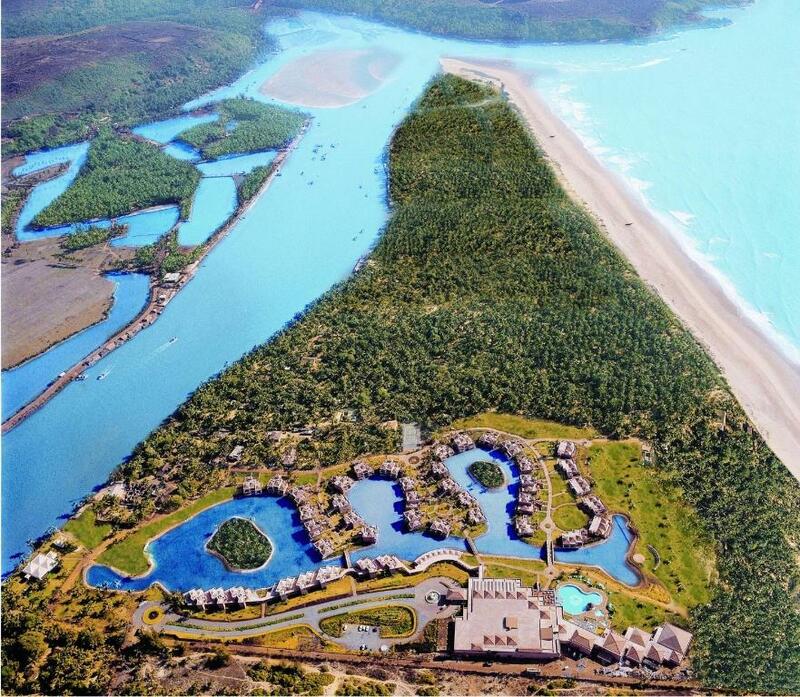 Lagoon view from room balcony was not impressive at all! Dull colours of the cottage rooms from outside. First floor rooms did not have elevators, not convenient for elderly people. Staff did not correct/remove an item from bill even after being told! Without doubt one of the finest establishments i have stayed in anywhere in the world, with the experience truely relaxing, the staff simply cannot do enough for you with the food exquisite. all members of staff are outstanding! Golf course is small but fine.